Everyone loves a pickup truck, and here's another one for everyone to adore. 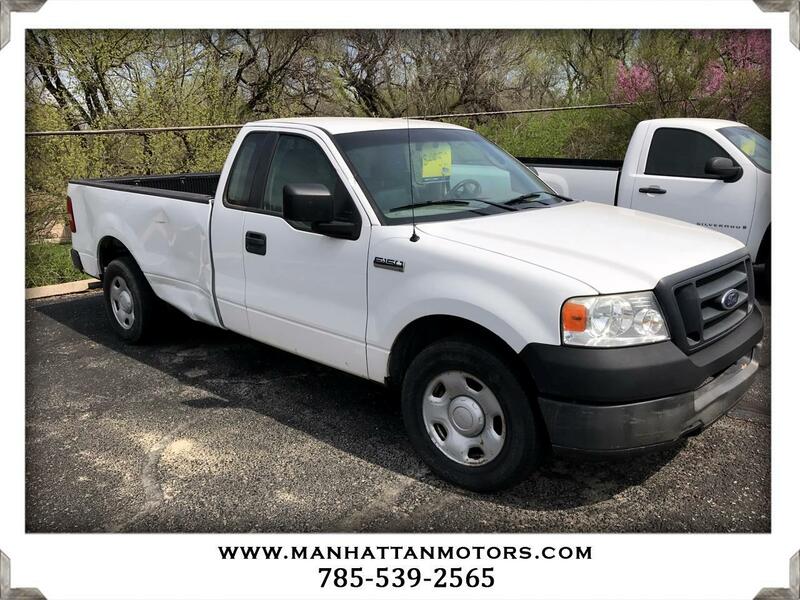 Our Accident Free 2005 Ford F-150 Regular Cab 4X2 in Oxford White is the quintessential American truck: big, tough and powerful. Fueled by a 4.2 Liter V6 that offers 202hp while tethered to a smooth-shifting 4 Speed Automatic transmission. For weekend warriors or everyday on-the-job, our Rear Wheel Drive F-150 will get it done for you. With its graceful lines and aggressive looks it's hip enough for you to make an entrance anywhere, or tow what you need with the trailer hitch. In the city or on the road, you'll turn heads for years to come. Whether you need a hard-working truck on the job or a good-looking commuter that helps around the house or on weekends, this F-150 is versatile enough to satisfy your truck cravings. You'll agree it's a great chance to own the truck everyone loves! Ford cares about your security, and this F-150 has all the standard safety features onboard. Grab your outdoor toys and hit the road for your weekend getaway! Print this page and call us Now... We Know You Will Enjoy Your Test Drive Towards Ownership! Thanks for choosing Manhattan Motors. We recently won The Manhattan Mercury Readers' Choice Award for being the #1 Used Car Dealer. Buyers enjoy our "laid back" approach. No test drive routes or high-pressure salesmen. Our focus is to offer all of the information you need to help make the best decision for your family or business. Each one of our vehicles undergoes a 30-point vehicle inspection by Burnett Automotive, Manhattan's #1 Auto Service Facility. We are also the area's only Independent USAA Certified Dealer, offering discounts on purchases and interest rates.